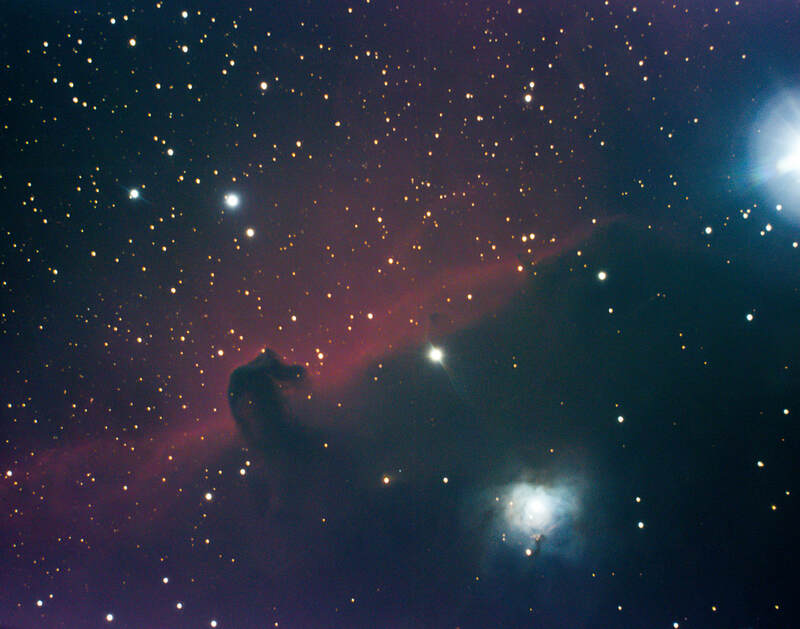 Horsehead Nebula (left) and Orion Nebula (M42) were photographed by guest Terry Honyoust on January 26, 2019. Sky’s The Limit Observatory and Nature Center invites guests to enjoy these FREE events; no advance reservations are required. The Observatory is just outside the North entrance to Joshua Tree National Park at 9697 Utah Trail, Twentynine Palms. STL has a variety of types and sizes of telescopes set up for viewing, and guests are invited to bring their own binoculars and scopes as well. Pads are provided for telescope setup, and STL volunteers will make every effort to assist as needed in setting up and using equipment. Guests are encouraged to come around sunset to have time to get familiar with the campus and visit other educational attractions before stargazing begins at dark. There is no formal program, however, so guests are free to arrive or leave whenever they wish. A flashlight, headlamp, etc. with a red lens is welcome. 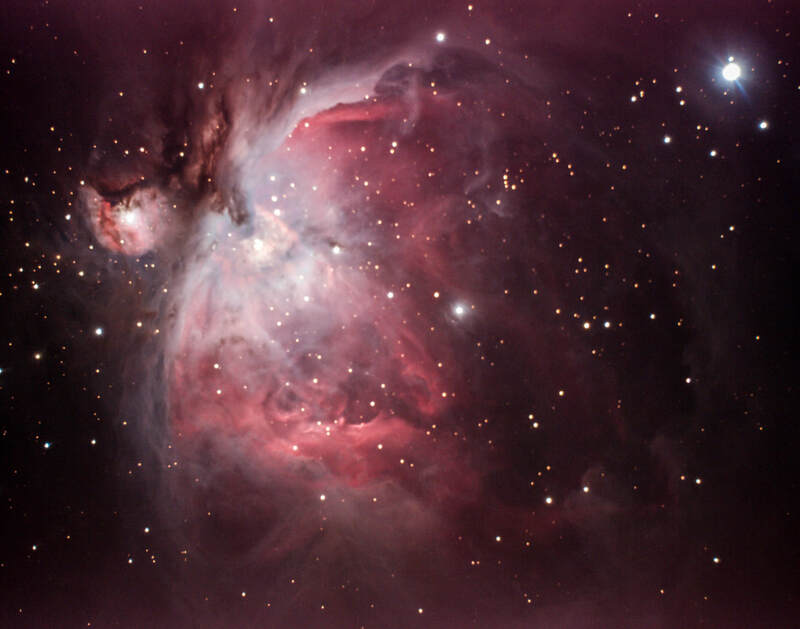 Red lighting is the preferred lighting at astronomical facilities because white light adversely affects night vision which in turn affects viewing through a telescope. The campus is at 2800 ft, so it can be chilly, even in the warm months. Everyone should dress for unpredictable desert weather and bring snacks, water bottles, and chairs. There are restrooms but no running water on campus. Children under 16 must be accompanied by adults. No pets and no smoking allowed on the STL campus, and visitors must carry out all trash. Sky's The Limit hosts free public star parties on Saturday nights – except when the Moon is full or near full. However, THE CAMPUS IS ALWAYS OPEN if you would like to bring your telescope to observe or take photographs. Just be aware that there is no running water on campus, and the restrooms will be locked if no docent is present. A scheduled star party may have to be cancelled or delayed due to clouds, rain, or excessive wind, but docents will make every effort to provide an alternative program if telescope viewing is not possible.